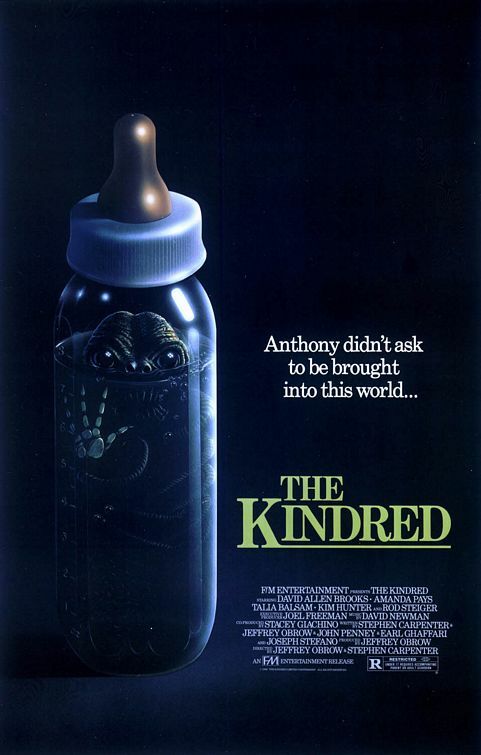 We’re showing the utterly forgotten and deliciously weird late-80’s creature fest, The Kindred. Why so special? Well, aside from containing one of the best on-screen practical-FX monster transformations this side of American Werewolf In London, the film has never legitimately been released on DVD. So not only is this surely to be your only chance to see the film on the big screen, but for many of you it may be your only chance to see the film period. Icing on the cake: one of the film’s two directors, Jeffrey Obrow, will be present for a Q&A! The golden age of practical horror movie FX had a relatively brief but gloriously bladder-pulsating run starting in the late ‘70s until the early ‘90s, when the CGI revolution quickly transformed the entire cinema landscape. 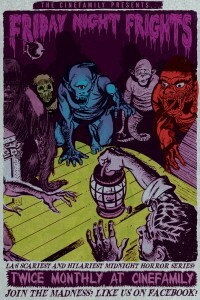 Produced during the heart of this era, the vastly underseen The Kindred deserves a second life, for not only does its shocking transformation effects match those of An American Werewolf In London, The Thing and The Howling — but its crazed original plot is a rarity for a film produced during the endless ‘80s slasher sequel goldrush. The story concerns John, whose mother is a renowned scientist. On her deathbed, John’s mother instructs him to destroy all her lab notes, before accidentally blurting out that he has a brother. Naturally, John and some friends venture to his mother’s lab, wholly unprepared for what they’ll find. In addition to its fantastic grisly grue, The Kindred also features two Oscar-winning actors: A Streetcar Named Desire‘s Kim Hunter and that great chewer of scenery, Rod Steiger! Dirs. Jeffrey Obrow & Stephen Carpenter, 1987, 35mm, 91 min. The show is at midnight. For theater info or ticket purchases go here. As always I am giving away some free tickets (each with a +1) as well as a reserved couch for the first place winner. To enter all you need to do is send an email to wormmiller@gmail.com with KINDRED in the subject line and in honor of Rod Steiger, tell me your favorite horror movie performance by a once-respectable actor or actress. Include your full name. I will only be contacting the winners. And start getting pumped for August, which will be Cliver Barker month! Candyman and Nightbreed!